How fun is this!!? Are you looking for new gift ideas for your loved ones? 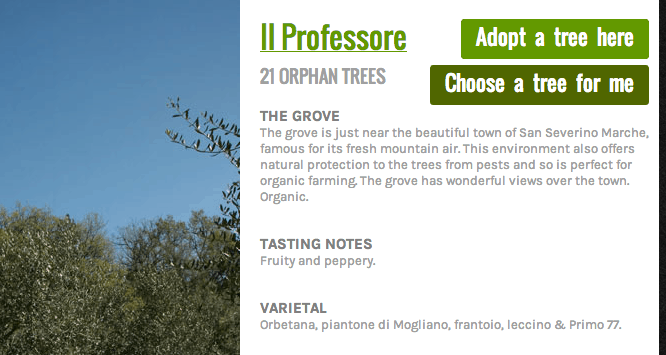 How about giving them an olive tree for a year? This is the cutest thing ever! 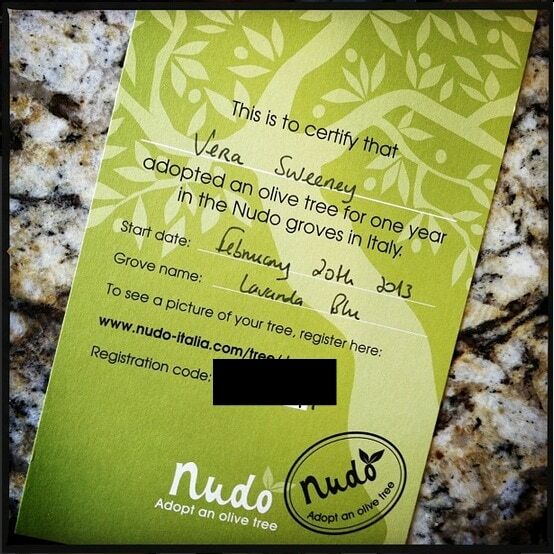 Nudo Italia allows you to adopt an olive tree for one year – either for yourself or as a gift. During that time, you will receive several shipments from your tree. Extra virgin olive oil!!! 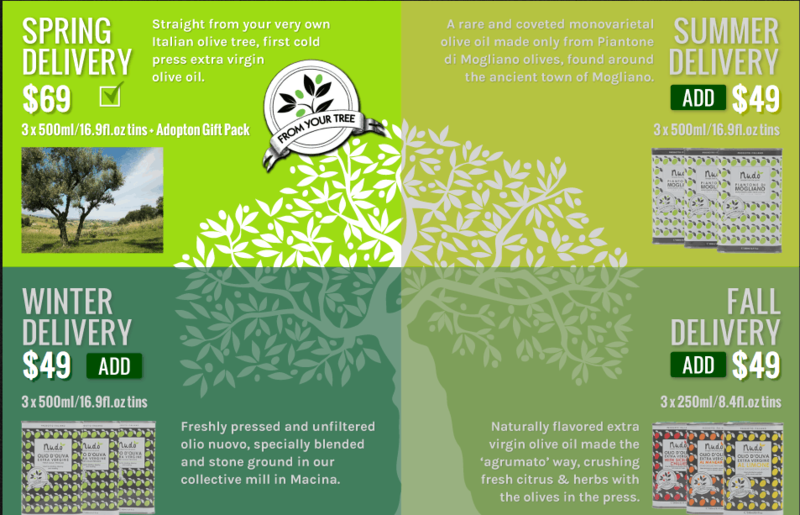 You can choose what type of olive flavors you are most interested in by checking out the “Tasting Notes” highlighted under each profile. They range from fruity to lemony to ones with a hint of artichoke. Then you choose how many shipments you want from the tree. You can do one a quarter. Prices vary depending on tree and type of delivery. If you are looking for something really fun to gift this year, check out Nudo-Italia. Adoption prices begins at $69.